Through determination, discipline and a passion for the industry, Dan McMonagle began quarrying stone in the family’s sandstone quarry in 1974. 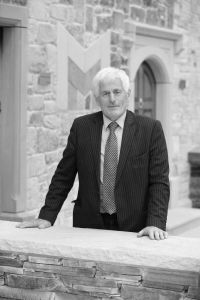 Dan’s work started off part-time and with support from his wife Anna and brother Cathal, McMonagle Stone was later established in 1988. As a result of Dan’s leadership and traditional sales techniques, McMonagle Stone has quickly grown from a small part-time business to a large company that sees demand for its products from both domestic and commercial customers in Ireland, the UK and abroad. Today employing over 70 people, Dan is supported by his son’s Michael and Daniel in continuing the company’s success year on year.